More than a dozen clubs filled the Grassroots cafe in Surrey, recruiting new members at the KSA’s inaugural clubs night on March 3. Thirteen out of the 33 clubs and recognized groups listed on the KSA website signed up to be part of the initiative to generate more interest in student clubs. Laura Anderson, acting clubs and event coordinator for the KSA, has been frustrated by the lack of campus life at Kwantlen for years. Now studying at Simon Fraser University, she thought more could be done to emulate the success of clubs at UBC and SFU. “The whole thing was to try and get clubs more active on campus and increase not only their activity, but their membership and student activity,” said Anderson. Before becoming a staff member, Anderson held various elected positions in the KSA, including stints as director of external affairs and chairperson. 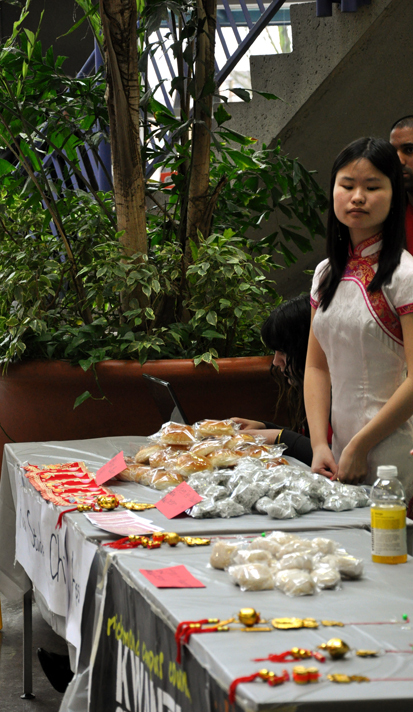 Sociology club member Faith Chern attended the event and was optimistic about its success. Although it’s just getting off the ground, the sociology club eventually hopes to host events, guest speakers and a lecture series. The club had 11 members, but managed to sign up 15 interested students over the evening. 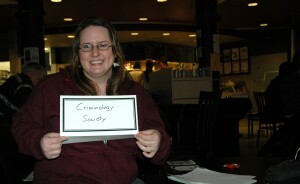 Leah Godin sits at Kwantlen's Club Night on March 3. 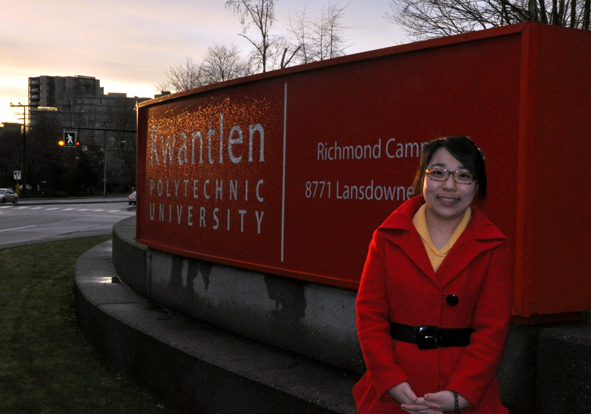 She is in the process of starting up the Kwantlen Student Society. Leah Godin, a third-year criminology student, is in the process of making the Criminology Student Society a reality again. Up until last year, there was a Kwantlen Criminology Club, but according to Godin, the club dissolved after the club’s president graduated and no one took over the role. Now Godin is encouraged and excited to bring it back to Kwantlen. But this time as a society, instead of a club. One of her instructors just thought it sounded better that way. 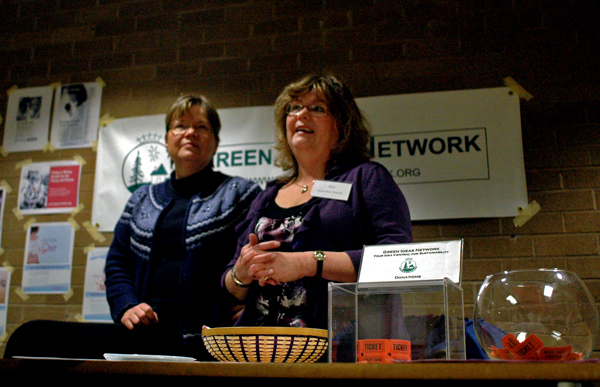 Godin had about 10 people sign up at the Kwantlen Club Night alone, which was on March 3 at the Grassroots Cafe. The society will start out with a general meeting to see what students want from the society. Then, once it’s up and running, there will be field trips, talks given by instructors from Kwantlen and other post-secondary institutions, movie nights, pub nights, discussion groups, as well as information on how students can get involved in their community. 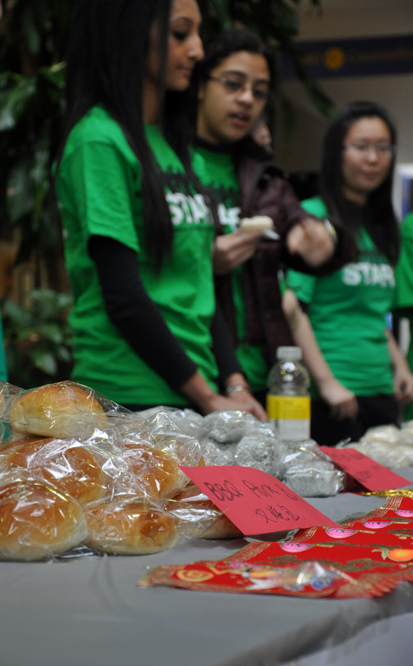 This club is open to all Kwantlen students, not just criminology students. “I don’t want to cut anyone out of an opportunity because they might actually realize that they really like criminology and maybe later major in it,” Godin said. It’s clear that Godin is passionate about starting up the Criminology Student Society. 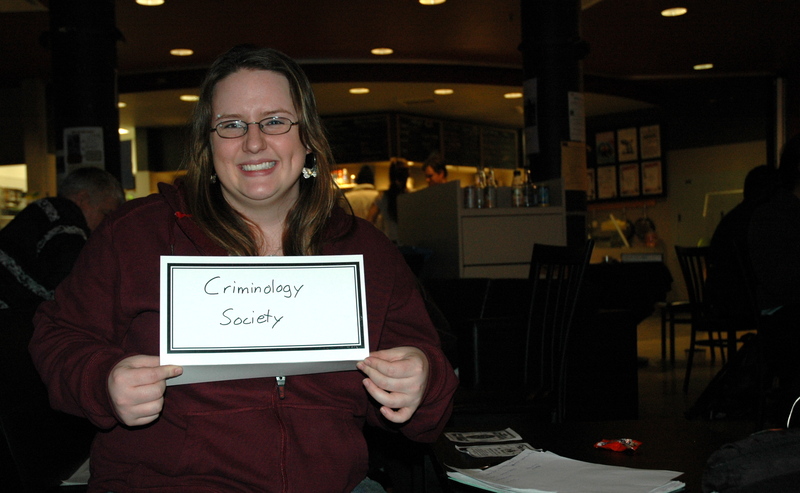 If you’re interested in joining the Criminology Student Society, email Godin. Alexis Wiessler believes we have a lot to learn from Cuba. Wiessler, a horticultural student, was one of six students who went to Cuba in October 2010, through an exchange program with the Institute for Sustainable Horticulture, to participate in field research at the University of Sancti Spiritus. “I just thought going to Cuba and seeing how they do things would be really beneficial to my career further down the road,” she said. Cuba is a leader in sustainable farming practices, which is using more environmentally friendly techniques to grow crops. Wiessler and some of her colleagues worked on a project using a fungus to fight different plant diseases. They also used plants to attract insects that are natural enemies of other insects that are harmful to crops. Overall, she believed the research went well, but they did have some problems. “There were always pigs and goats and turkeys in the fields eating everything,” she said. For the 26-year-old, the exchange became more than just about sustainable farming. While she knew living in Cuba would be difficult, nothing could have prepared her for just how different things would be. Cramped living quarters and little variety of food were just a couple of the challenges she faced. It was her brief glimpse into the lives of everyday Cubans that Wiessler will remember most. She said that despite the hardships the Cubans faced every day, they are still a happy, friendly people who appreciate what little they do have. “It was really refreshing to see people who have so little just not being affected by it that much,” she said. The biggest challenge for Wiessler was living in a socialist country. She said things we take for granted, such as freedom of speech, don’t happen in Cuba. “It was kind of scary at times, because we didn’t really know if we were overstepping any bounds,” she said. As difficult as the exchange was at times, Wiessler doesn’t regret going and encourages other students to go on similar exchanges and keep an open mind about new experiences. It’s that time of the semester when papers and mid terms start to pile up — and there’s no shortage of grievances to go along with them. The academic system isn’t perfect and venting is a good way to release stress. Kwantlen students were asked what they find most frustrating about school. Just Tillyer, 21, who studies psychology, said that he’d like to see more short- and long-answer tests, instead of multiple choice quizzes. “It would be nice if there was more opportunity in terms of testing where students were expected to explain things,” said Tillyer. Tillyer said he prefers written exams, so he can demonstrate in depth his grasp of the material. Kim Blik, 22, who is in general studies, said mid-terms are her biggest stress. “Having [several] mid-terms on the same day is really stressful…and balancing work with school to pay the bills,” said Blik. Students have different ways of coping with the stresses of school, finding some things more frustrating than others. “Some profs hand out work that’s irrelevant to the classes. Some of the workload is just too much. Other than that, there’s nothing about school I really find bothersome. It’s just time consuming,” said Amar Badh, 19, who’s in general sciences. Kubeska said that he studies all the notes from class, but when there’s so much to cover, teachers should point out what the most important material is. 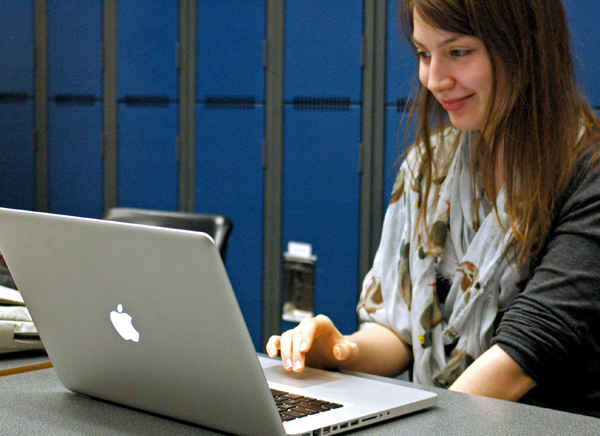 Cat Yelizarov spent her past summer as few other university student did: working in the stress-filled environment of a newsroom. The fourth-year GDMA (Graphic Design for Marketing) student at Kwantlen spent the summer completed her internship at the Globe and Mail newspaper in Toronto. 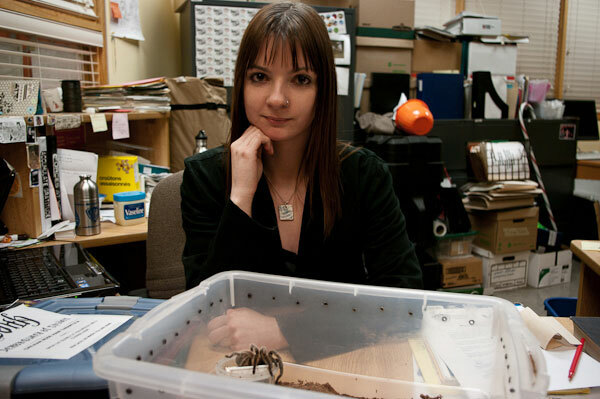 Yelizarov went into her internship with only a little journalism experience, from working with The Runner, the student-run newspaper at Kwantlen. Yelizarov said going to Toronto by herself to work as an intern was difficult and scary. “It was different because I came with no journalism background, so I had no experience and I was really scared, and every day I thought I was going to get fired because I thought I sucked,” Yelizarov said. In Toronto, Yelizarov was thrown straight into designing for the Globe and Mail. She was given two days of training and then she was designing section fronts. What made her experience even more stressful was the Globe and Mail was in the process of redesigning the newspaper while she was there. Yelizarov was in charge of designing multiple section fronts each day, as more experienced designers were helping out with the redesign or on vacation. Yelizarov ended up designing a front for every section of the Globe and Mail during her time there, except for the Report on Business section. She said her time there was stressful, but still thinks school is more pressure packed then working. But at university, she said that the pressure of getting good grades and peer pressure is worse. Working under pressure is something Yelizarov thinks she does well, and that helped her keep focused, even with daily deadlines — and when mistakes were made. “I spelled the person’s name wrong for a Saturday front which is horrible. So horrible,” Yelizarov said. Dealing with mistakes and the pressure of deadlines wasn’t even the most challenging thing Yelizarov faced during her time at the Globe and Mail. It was some of the people she had to deal with. The Globe and Mail is unionized and she says that while many people she worked with were cooperative and good-natured, others were there because of the pay and were bitter. “You have to deal with people that would duck when they see the section editor because they didn’t want to talk to them. They would avoid them. 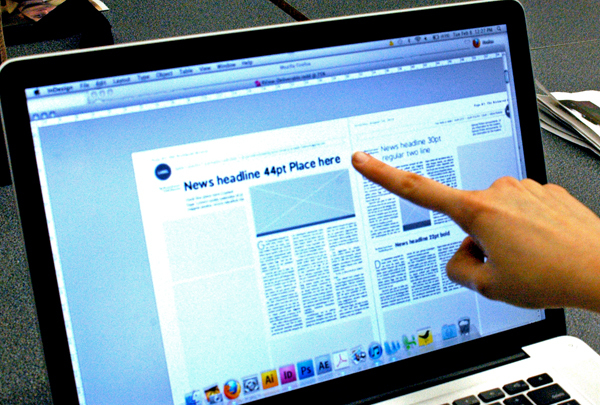 You have a deadline at four and you’re avoiding the section editor, so it was complete chaos,” Yelizarov said. With graduation and a wedding coming up, and the need to find a job, Yelizarov looks to be just as stressed as she was last summer. But after her experience at the Globe and Mail, she feels like she can accomplish anything. Saving the environment could be as easy as cleaning out the cupboard under the kitchen sink. According to the Canadian documentary “Chemerical,” North Americans are poisoning themselves every day through the use of toxic chemicals in their households. The documentary was shown last week as part of the monthly series, Green Wednesdays, held at the Kwantlen Langley campus on the second second Wednesday of every month. It follows the story of a family attempting to live chemical-free for 90 days. The environmentally themed evening, hosted by Kwantlen’s School of Horticulture and the Green Ideas Network, is designed to show solution-based films to students and the general public about current environmental issues. “The whole point of the Green Wednesdays is to give people some exposure to some of the kinds of issues around sustainability and the environment and our personal footprints on the planet, on whatever topic it happens to be,” said Gary Jones, horticulture instructor and event organizer. In the documentary, there are many funny and emotional moments as the Goode family quickly realizes how dependent they are on chemicals in their home. According to the film, the average household has more than 40 toxic items that contain dozens of harmful chemicals known to contribute to health problems, including sterilization and cancer. The film suggests that this is directly related to studies showing that women who stay at home have a risk of cancer 43 per cent higher than those who work outside the home. Products such as laundry detergent, window cleaner and even deodorant and cosmetics expose people to chemicals including trichlosan (a known carcinogen used in antibacterial products,) chlorine ( the number one toxic chemical in the home, used in bleach) and ammonia (used in cleaners) on a daily basis. Andrew Nisker, director of “Chemerical,” explores loopholes in the regulation system of the cleaner and cosmetic industries. Companies avoid labelling many ingredients in their products to protect “trade secrets.” Nisker reported on a study of 33 different brands of red lipstick that found 61 per cent of them to contain lead. “If you can’t eat it, then you shouldn’t be putting it on your skin,” said an owner of a natural product company also showcased in the film. Jones says that the point of showing these films is not to depress people, but to educate them and motivate them to make changes. 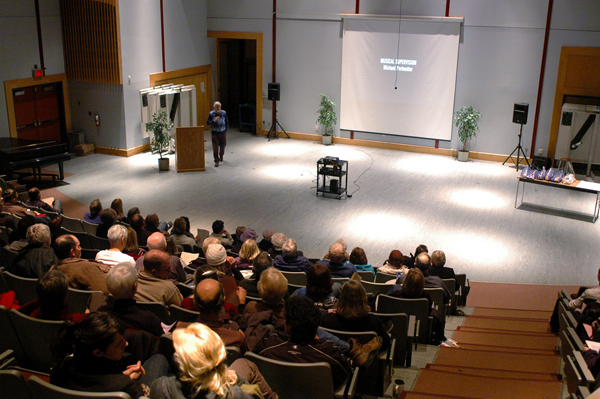 The fifth installment this year of Green Wednesdays was held in the auditorium on the Langley campus. The night was presented by Kwantlen's School of Horticulture and the Green Ideas Network, who work together to put on the eco-friendly movie nights once a month. (Photo by Lucas Meneses-Skoda). Jones says it is important that people begin to pay attention to the effects they are having on the earth and to make conscious decisions to change their habits. “It’s life and death. How more important could it be? There’s some scary stuff out there, and we don’t know half of it. We have no idea. That’s what’s really scary, that we think we’re in control, but we have no clue really,” he said. Joyce Rostron, vice-president of the Green Ideas Network, shares the same ideals. “I do this for my children. They will really look to the future with open eyes. They won’t be so closed-minded about things,” she said.